Is Archery Combat on Your Bucket List? 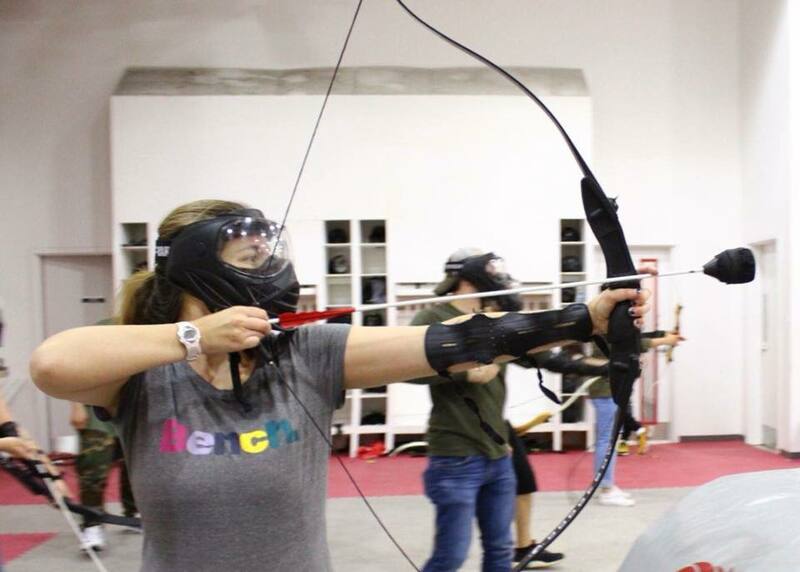 Did you know that you can participate in archery combat in Montreal without any training or previous experience? It’s an awesome addition to your Montreal bucket list. 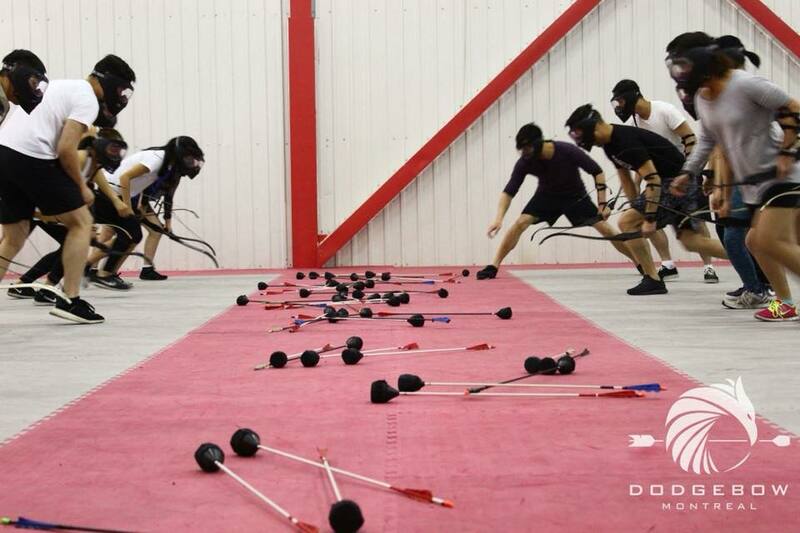 At DodgeBow Montreal, up to 24 players compete in the DodgeBow Arena with bows and arrows designed specifically for the activity. The games get progressively more challenging every round. 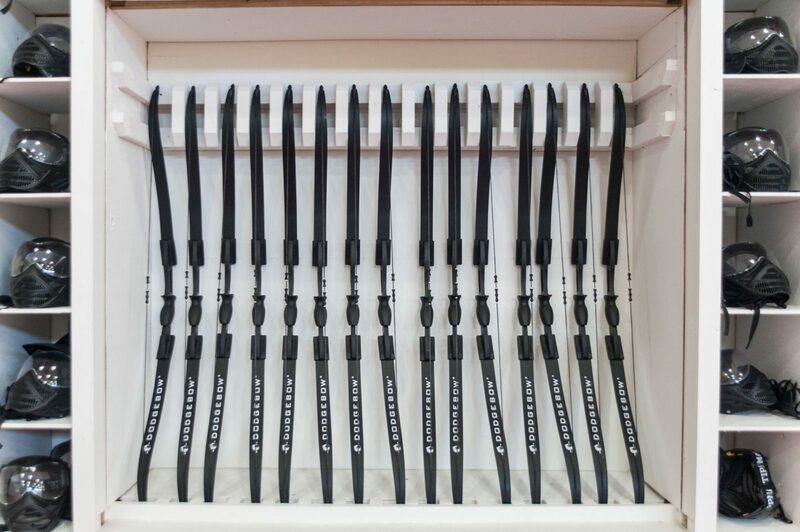 It’s excellent for groups, friends, couples, or even individuals. What’s better for building a relationship than shooting your partner with an arrow during a competitive game of archery combat? 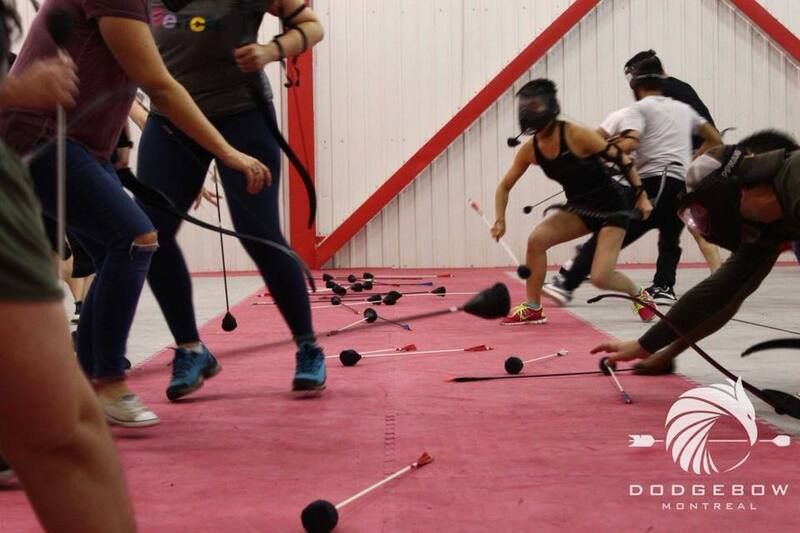 When you arrive at DodgeBow, there are locker rooms to put your stuff before you enter the arena and then you open the door to a new world of face masks, bows, foam tipped arrows, inflatable obstacles, and unique competition. The rules of the game are clearly explained and you’re given the opportunity to practice a few shots before you begin competitive games. We lined up against the wall and were divided into two teams. It was a Sunday evening and there were 24 guests ready to participate. Games lasted about ten minutes each and got progressively more difficult. Cord and I were on the same team but our couple friends were separated. I liked working with Cord rather than competing against him but it was fun to have friends on both sides. During the first game, Cord accidentally shot me in the back from only a few feet away but it didn’t hurt at all. I knew if I could take an arrow at such a close range that no other arrows would hurt me during the games. It took a few minutes to get use to shooting the arrows but it wasn’t long before I was hitting people and small targets. One game required us to knock out small targets from the opposing side. I managed to hit three targets total and I felt proud of my accomplishments. I did shoot an arrow before but I certainly wouldn’t say I was experienced. Our game included all adults. All participants must read and sign our Waiver and Release Form as a condition to play. Players under 18 must come with a waiver signed by a parent. I wouldn’t recommend DodgeBow for young children. Although the arrows don’t hurt, our game was fairly competitive. I think it would have been less fun if young children were in the arena because I would have feared accidentally hitting their mask and frightening them. I don’t think even younger children would get hurt from an arrow, but I still think it’s geared towards teens or adults. If children are interested in archery combat, I’d recommend they start with NERF Hero first; it’s located in the same building. By the end of the hour, I was exhausted. I must have shot dozens of arrows, crouched, hid, crawled, and jumped for an hour almost non-stop, but I loved it! It was a fun workout and a great opportunity to put my marksmanship skills to the test. 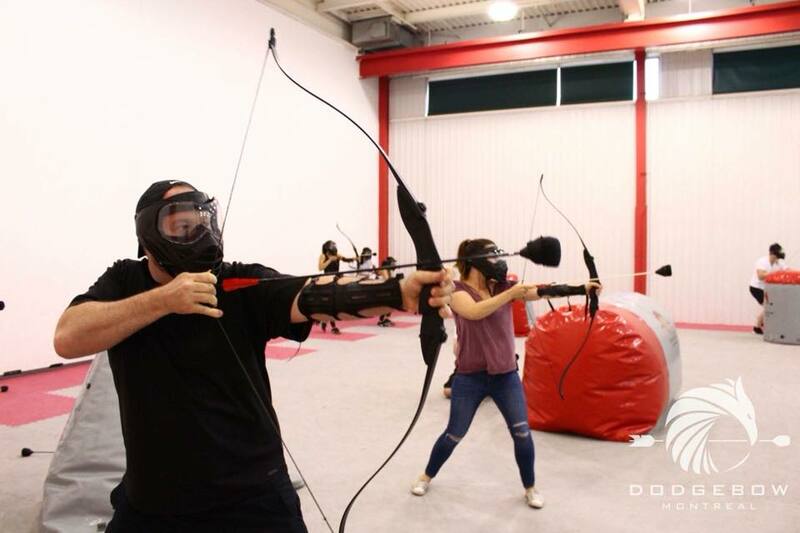 If you’re looking for an active addition to your Montreal bucket list, archery combat hits the mark.